Samsung Teases S Pen and Handwriting on the New Note! Moving to a digital place where we would perhaps no more see the physical pens and notebooks (not going to happen hopefully! ), handwriting is one of the most important capabilities for cognitive growth. Samsung has released a new Galaxy Note 4 teaser focusing on the importance of handwriting and Note’s efforts of making it seamless and natural on the phablet. In the Galaxy Note 4 teaser, Samsung focuses on how important handwriting is for children. However, handwriting is also important for elders too. It is one of the most natural and easier skills to adopt in to a lifestyle and take note of things as we go. From bad handwriting to incomprehensible words, we may not excel in this skill but it definitely is one of the most crucial skills. 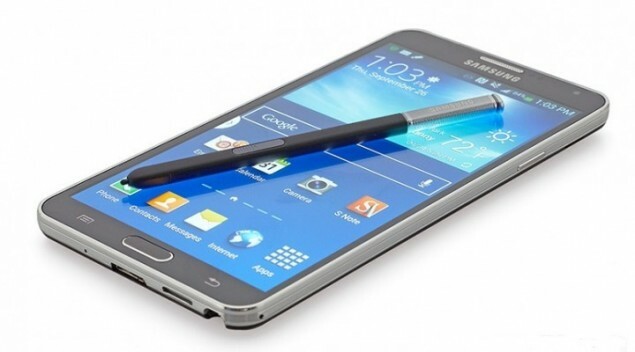 Easier handwriting and the availability of S Pen is one of the primary reason for many fans that go for the Note every year. Set to be unveiled at IFA on September 3rd, Samsung Galaxy Note 4 helps users capture important information using handwriting, instead of a QWERTY keyboard. Definitely creating some more hype around the phablet, Samsung seems to be ready to Note! Samsung Galaxy Note 4 is ready to feature some high-end specs including a 16-megapixel camera with an optical image stabilization module capable of shooting UHD (3840×2160) videos at 30FPS. Rumors indicated that the upcoming Note 4 will be offered with both the Exynos 5433 and Snapdragon 805 processing options with a QHD display, battery optimization, and all the sensors and health features of Galaxy S5. – Read: 16-Megapixel Galaxy Note 4 Camera to Have Side Touch, Wide Selfie and OIS Module!